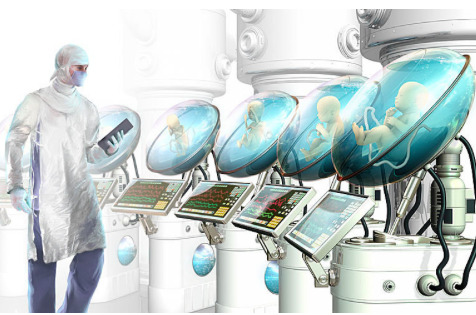 We highlight innovative products and services being developed around the world that may change the face of neonatal care in the near or distant future. This international and multidisciplinary team is putting a spotlight on the acoustic environment of premature babies in the NICU. Preemies are often exposed to an extremely loud and noisy environment causing stress. The Sonic Womb research project under the direction of fetal medicine expert Prof. Eric Jauniaux and leading auditory researcher Prof. Julian Henriques, recreates the experience of hearing in utero in an acoustically optimized enclosed space. Acting a sort of "fetal filter" the Orbb emulates the auditory effects of a mother's body with muted sound and vibration. We are seeing more and more research projects on how to mimic the womb and recreate that environment. In Tokyo, researchers have developed a technique called EUFI — extrauterine fetal incubation with goat fetuses. Down under in Australia, the LifePod project wants to help babies return to a womblike environment, nourished and oxygenated by an artificial placenta. IN UTERO - a fascinating film on life in the womb and its lasting impact on human development, human behavior, and the state of the world. Epigenetics, Alice In Wonderland, The Matrix, scientists, psychologists and doctors converge to prove that we are not what we think we are. IN UTERO brings together for the first time convincing data that explains why some of us face challenges from the start while others thrive. Catch the trailer.